Autumn song : clarinet & piano / Katy Abbott. Autumn song : for flute, violin & cello / Katy Abbott. 9 Nov 2013: at Pure Poetry Project (Art Gallery of Ballarat). 7 Oct 2011: at A Menagerie Of Music (Murray Bridge Town Hall). 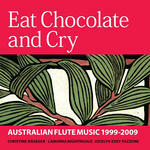 30 Oct 2010: at Tweet and Boom (Melbourne Recital Centre, Primrose Potter Salon).